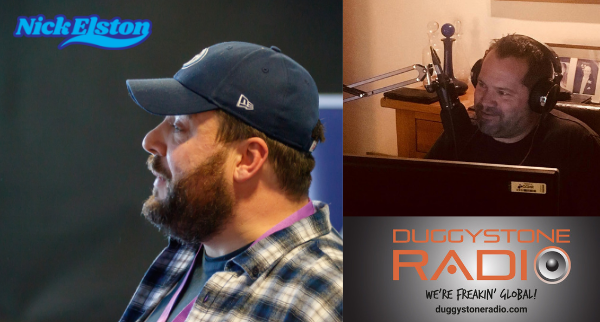 If you have never heard of Mark Brimson’s fantastic Sports Show – The Season Ticket on Duggystone Radio – you should check it out! It’s a brilliant mix of Sport, Music & laughter. I was delighted to be the Guest Of The Week on Saturday & really enjoyed being part of a show that I regularly tune in to. In it – I discuss what I am up to & more relevantly to the show – how I am working with Professional Sports Clubs by working with them to deliver my #TalkingAnxiety seminars – to reach the ‘person on the terrace’. Thanks for having me on Mark! The great thing about being interviewed by Mark is that it’s so natural – more like a conversation – an absolute pleasure to talk to! You can listen here – I come in at 14 m 20 s.
If you are in the Media & feel that I could be of value to your audience & would like to line up an Interview, Guest Article or Blog – please email pa@nickelston.com.